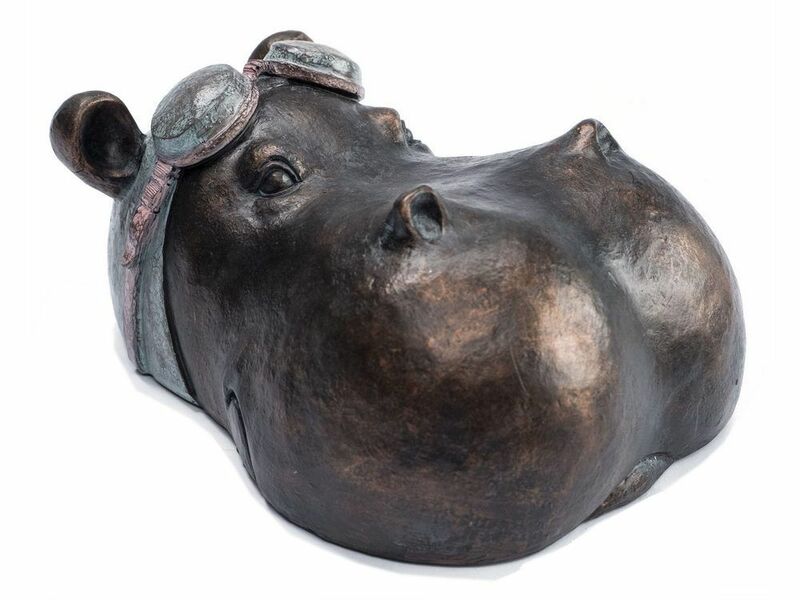 This bronze finish hippo head sculpture is highly unique and can't fail to raise a smile. Showing the hippo in human guise, the amusing sculpture shows it with its faded blue bath-cap and goggles on, ready for a wallow. Cast in metallic resin, you can almost feel the delight of this happy hippo, with its ears pricked and nostrils flared ready to submerge. A real talking point, the hippo makes a huge impression and looks fabulous as a floor ornament, as if surfacing from the River Congo, or on a side table with other members of its herd.